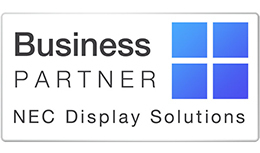 Wacom Intuos Zubehör auf Anfrage. The Paper Edition combines the Intuos Pro tablet with a detachable Paper Clip and Finetip Pen. Clip your drawing paper on the tablet and sketch. While you sketch on paper, an editable version is captured and stored on the tablet. You don't need to be online or connected to a computer when you are sketching, so work anywhere, anytime. Connect Intuos Pro Paper Edition to your computer with the Wacom Inkspace app and use the free Inkspace Basic features to sync, store and export your sketches in creative file formats. 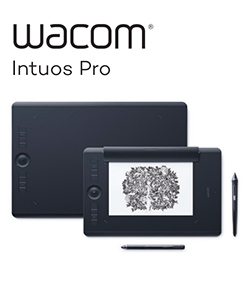 Then fine-tune your work with the Intuos Pro tablet, Wacom Pro Pen 2 and your favorite creative software on Mac or PC. If you need to immediately share your sketches with others, Wacom Intuos Pro Paper Edition connects to your iOS or Android device over Bluetooth LE. The Wacom Inkspace app* lets you directly sync your drawings to your mobile device and view, export and share right away. Customizable ExpressKeys™, Touch Ring, Radial Menus and pen side switches provide easy shortcuts. Multi-touch surface lets you zoom, pan and navigate. Three different Texture Sheets* (from smooth to rough) personalize your tablet surface feel. Intuos Pro is super-slim and compact. The included Wacom Pro Pen 2 has interchangeable pen tips. A beautiful new Pen Stand and a protective Accessory Soft Case* for your Paper Clip, pens and nibs are included. Connect to your PC or Mac with built-in wireless Bluetooth or a USB cable. The standard Intuos Pro and the Paper Edition are available in medium and large sizes. Accessories (sold separately): Ballpoint Pen, Finetip Pen, Pencil (available mid 2017), Texture Sheets, Soft Cases, Pen Nibs, Refills.